Jason is the Co-Founder and CEO of Payclub, a next-generation payment platform to help groups of all sizes manage money together. For the past ten years, Jason has dedicated himself to creating network effects through peer to peer marketing. In 2012, Jason was the at the ground floor of launching the massively successful collegiate travel company JusCollege. There he led the team as Sales Director in growth from five team members to over 50, traveled over 500k students to over 75 destinations, and reached over $60M in revenue. He was also responsible for managing relationships with top reps across the country and assisted with maintaining relationships with hotels, flights, and top music festivals. JusCollege was acquired in March of 2018 for $25M. 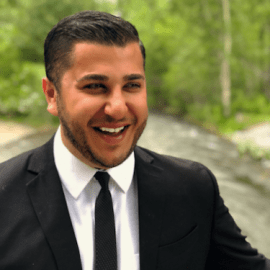 Before JusCollege, he was Director of Membership development for Alpha Epsilon Pi Fraternity, working closely with over 180 universities across five countries, and establishing nine colonies. He was later appointed Regional Governor, presiding over the Southern California region during its 500% growth, and was recognized as the Regional Governor of the Year in 2013. He is an awarded speaker and advisor, leading conventions and programming for students in all areas of recruitment, training, culture, event planning, and finances. Jason’s newest venture, Payclub, empowers you to create a group for any reason, each with its own unique digital wallet, providing transparency and accountability to an otherwise hidden and isolated payment experience. For a college student, most of their money goes towards organizations and group experiences. Payclub helps drive the expanding $330 Billion experience economy with the financial tools necessary for the highly sought after Gen-Z market with 100x lower acquisition-cost than a traditional bank. The team is led by C-Level domain expertise in FinTech and consumer platforms with prior acquisitions from Acorns, ZestFinance, & JusCollege.